In continuation of the THREE STEPS WITHIN (TSW) mini -series, the second installment of the trilogy (taken from the TSW press release) profiles our good friend Concord Nkabinde. Concord who is no stranger to the Lavatory Records platform, was interviewed by us during the month of July of 2015. He alongside Mr McCoy Mrubata and Ms Lindiwe Maxolo form the group THREE STEPS WITHIN, who will all be in concert next Friday the 27th of November, at the State Theatre in Pretoria. The show starts at 8PM – 11PM, check the event article for more details. Don’t forget to order your copy of the Concord: Live In Joburg, South Africa (DVD) , to catch a glimpse of the exceptional standard of performance that you can expect from the TSW concert next week. 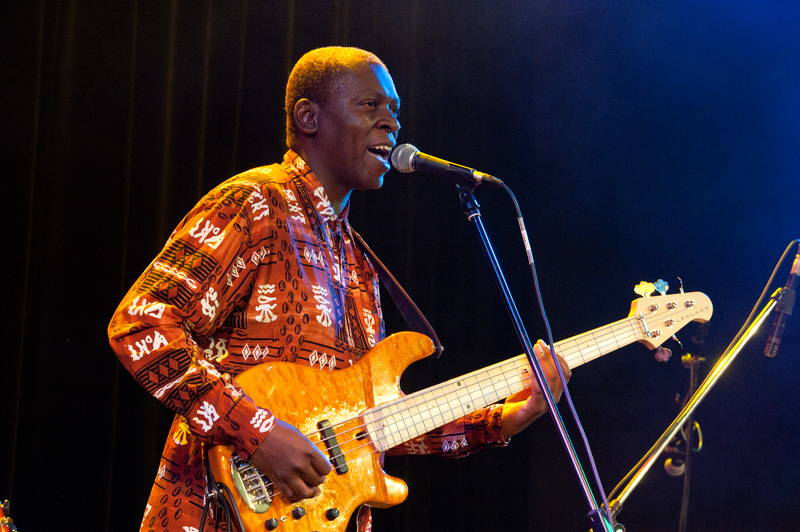 Mr Nkabinde is a Bassist, Vocalist, Composer & Arranger, Educator, Producer & Band Leader. He is also a proud of Recipient of the Standard Bank Young Artist Award in 2006. Soweto (SOuth WEstern TOwnships), in the south of Johannesburg – South Africa, is the birth place of this accomplished musician, composer, producer & music educator. Concord Nkabinde has had great interest in music since the age of 10, growing up in the streets of Soweto. With his early musical exposure taking place in church, he then became involved with Gospel music bands and later ventured into the broader music industry. Concord soon developed a desire to acquire more knowledge and experience. This led to him pursuing and completing a Bachelor of Music degree in Jazz Studies at the University of KwaZulu Natal. He then went on to teach music full-time at the Federated Union of Black Arts (FUBA) & at Funda Art Centre, before deciding to pursue a career as a session and touring musician. Nkabinde soon became a highly sought after bass guitarist, working with the likes of Abdullah Ibrahim, Zim Ngqawana, Joyous Celebration, Ladysmith Black Mambazo, Arno Carstens, Ray Phiri, Roy Ayers, Vusi Mahlasela, Theuns Jordaan, McCoy Mrubata, Miriam Makeba, Ernie Smith & many more. In the year 2002, Concord set up a record company, Drocnoc Music, and went on to release his 2 selfproduced CDs – “The time, The season” & “This is my World”. He also released a Live DVD – “Live in Joburg, South Africa” which was nominated for a South African Music Award for “Best Live DVD”. Concord has toured & performed internationally with great artists like Johnny Clegg, Ladysmith Black Mambazo, Ray Phiri, Phil Manzaniera, Zim Ngqawana, Darius Brubeck, Deepak Ram, Freshlyground & many others. 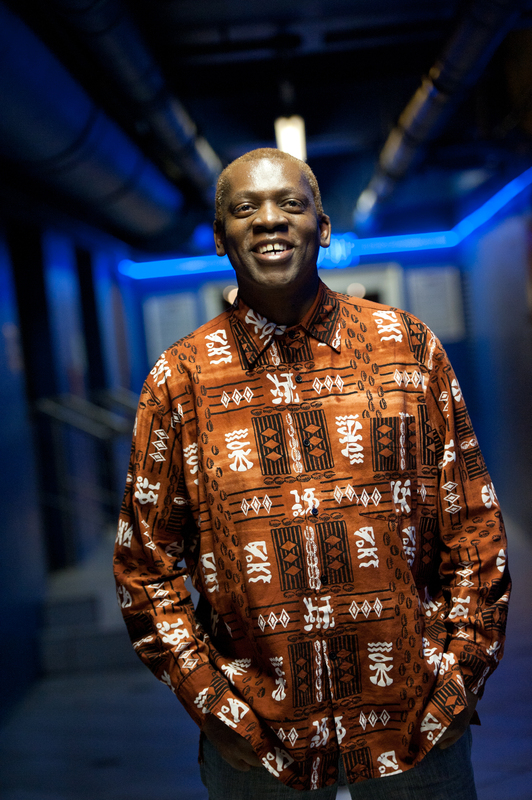 He has also assisted numerous international performing artists who have toured South Africa, such as Roy Ayers (USA), Colin “Black” Vearncombe (U.K.), Sergio Diaz (Brazil), Efrain Toro (Puerto Rico), Eero Koivistoinen (Finland); Edyta Gorniak (Poland) & others. Concord Nkabinde has a driving passion for cross-cultural collaboration projects. The mission of breaking down virtual boundaries that tend to divide people is a path he has embraced with both hands and heart. This passion led him to getting involved in a few projects of this nature: Southern Cross – South Africa & Brazil (1994); Two Nations – U.K. & South Africa (1997); Gathering Forces – Jazz & Indian Classical music (1994/97); Shuttle 99 – South Africa & Nordic countries (1998/99); Beyond the rainbow – China & South Africa (2001); Imbizo – Finland & South Africa (2003); Øiseth Afrika – Norway & South Africa (2010). Some past appearances include: Standard Bank Jazz Quartet – World Economic Forum Conference (Davos, Switzerland). Poetry Africa Festival – Cape Town, Zimbabwe, Malawi & Durban. National Arts Festival, Grahamstown. Opening of the Durban International Film Festival. Tour of Sweden – Magnus Lindgren & Friends. Standard Bank Joy of Jazz Festival – Adam Glasser. Collaborations with Tamara Dey, Louis Mhlanga, Erik Paliani & many more. Concord Nkabinde describes himself as “An African voice speaking to the World”.